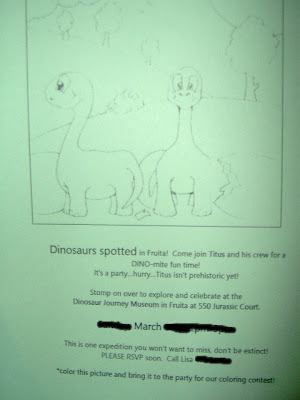 Titus is having his dinosaur party soon and I wanted to share his invitation and a fun party idea that we're doing. For his invitation, everyone gets to color the dinosaur pictures and bring them to the party for a coloring contest. It is sort of hard to read, so I will post the wording below...they turned out too cute! 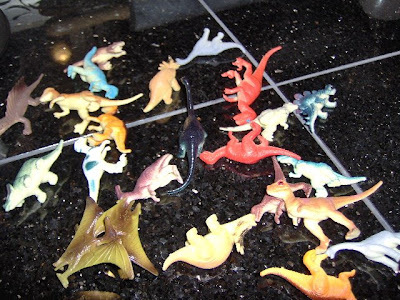 It’s a party…hurry…Titus isn’t prehistoric yet! Dinosaur Journey Museum in Fruita at 550 Jurassic Court. This is one expedition you won’t want to miss, don’t be extinct! PLEASE RSVP soon. Call Lisa 000-0000. *color this picture and bring it to the party for our coloring contest! 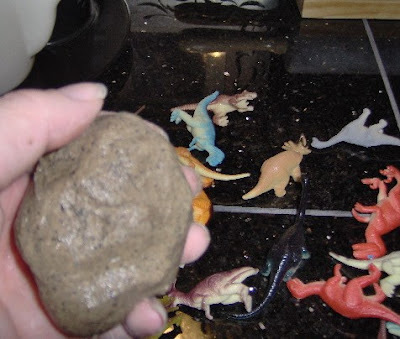 For one activity, we are giving out dinosaur eggs. 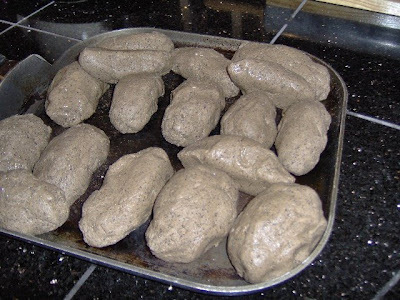 I made a pasty clay and snuggled plastic dinosaurs in the wet clay, then I wrapped them up in the shape of an egg...(well they ended up looking more like potatoes, but you get the idea). 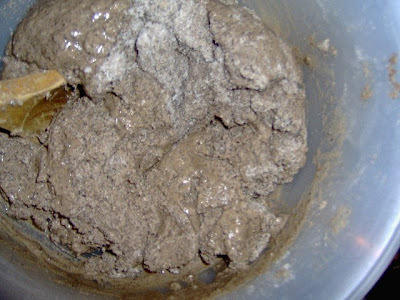 They should dry in a few days. 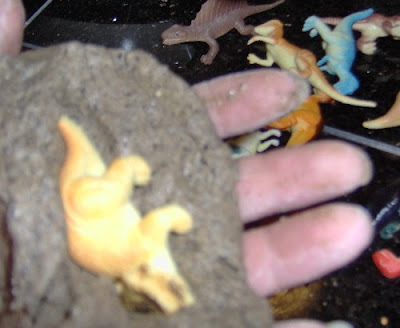 At the party each child can crack open their egg and find their baby dinosaur! My wife the party planner :) What lucky boys we are to have you. I often wonder if anyone else on earth finds as much pleasure in making other peoples lives joy-filled... Nah, I really am just that lucky!